Char Davies (2000). Landscape, Earth, Body, Being, Space, and Time in the Immersive Virtual Environments Osmose and Ephémère. Angela Molina and Kepa Landa, eds. Osmose and Ephémère are immersive and interactive virtual-reality environments . These works are known for their embodying interface, painterly aesthetic and themes of nature. They are the most recent fruits of an artistic project I have been engaged in for almost twenty years, which has encompassed painting, film and 3D computer graphics and animation. The impulse behind this project has been to communicate an intensified experience of being embodied in the space-time of the living world. Osmose and Ephémère are my most recent attempts to distill and amplify the sensations and emotions of being conscious, embodied and mortal, i.e., how it feels to be alive here now among all this, immersed in the vast, multi-channeled flow of life through space and time. In these works I seek to remind people of their connection to the natural (rather than man-made) environment not only biologically, but spiritually and psychologically, as regenerative source and mythological ground. Video image of the immersant as seen from the public installation area. In my experience of constructing virtual environments, the medium of immersive virtual reality offers a unique means of expressing this particular sensibility—far more effectively than other artistic media I have used. This is primarily because of its spatiality, a spatiality that one can seemingly go inside. Just as the invention of film—through the technology and craft of photography—extended the stillness of painting into the flow of time, the technology associated with immersive VR extends beyond the two-dimensionality of painting and film, into enveloping "circumferal" space. The creative and experiential territory of immersive VR lies on the other side of the 2D picture plane, facilitating the illusion of full-body immersion within an enveloping spatiality, virtual yet nonetheless one the body accepts as real. This is the paradox of immersive VR and its singular power. In virtual space, the artist/designer can construct three-dimensional, animated, conceptual models of the world, manifesting them within a virtual spatio-temporal arena, where they can be kinesthetically explored by others through real-time interaction and full-body immersion. The viewer thus becomes participant, within the artist's world. This is particularly so when approached through an embodying (rather than disembodying) user interface such as that of Osmose and Ephémère. In works such as these, perceptual boundaries between inside and out may be experienced as permeable as the virtual and immaterial are confused with the bodily-felt, experienced as strangely real. The origins of the technology associated with virtual reality lie in the military and Western-scientific-industrial complex: VR is not neutral but by default carries Cartesian values. It should not be surprising then if most of the metaphors—spatial, visual, interactive—used in conventional VR design reinforce what Henri Lefebvre called "the reign of King Logos" . In this context, virtual reality can be read as the product of the collective consciousness of Western culture issuing from "a techno-utopian ideology ripe with subconscious perceptions and prejudices in which liberation is sought from the body [and Earth] by dissolving into the machine" . When constructed by artists/designers however, who, aware of the technology's debt to King Logos and who choose to circumvent its conventions, believe that VR can effectively be used to convey alternative world-views, acting as a countering philosophical tool. In Through the Vanishing Point: Space in Painting and Poetry, Marshall Mcluhan wrote that the role of artists was to create "counter-environments", opening the doors of perception by correcting the unconscious bias of a given culture. He went on to say that in an age of accelerated change, the need to perceive the environment becomes ever more urgent . (His words were addressed to the creators of psychedelic light shows.) Similarly, Henri Lefebvre, in his seminal book The Production of Space, called for the production of anti-environments and "counter-space" in the face of the homogenizing absolute space of Western metaphysics". Since their words were written, the paradoxical medium of VR, with all its implications, has emerged. In my work, I have attempted to push VR beyond its conventions in order to present a different interpretation of being in the world. In terms of content and sensibility, Osmose and Ephémère are a far cry from the adrenaline-pumping techno fantasies most common in VR. Osmose and Ephémère shun conventional hand-based modes of user interaction which tend to reduce the body to that of "roving eye and probing hand" in favour of an embodying interface which tracks breath and shifting balance, grounding the immersive experience in the participant's own body . As well, Osmose and Ephémère avoid the hard-edged mimetic realism towards which most VR aspires, instead relying on semi-abstract semi-transparent figuration to create an ambiguous, evocative aesthetic, which actively engages the participant's imagination in the work. The first virtual realm encountered by the "immersant" in Osmose is a three-dimensional Cartesian grid which functions as an orientation space and makes reference to the technology's origins. With the immersant's first breaths, the grid gives way to a clearing. In the centre of the clearing is a tree, within whose leaves it is possible to enter. Char Davies, Tree Pond, from Osmose, 1994-95.
head-mounted display during live immersive journey/performance. There is also a pond into which one can sink (by breathing out), and then descend deeper into an abyss in which after a time, a symbolic life-world appears through which one can return to the clearing with its pond, stream and tree. It is also possible (by breathing in) to ascend into white cloud—or, by breathing out again, to descend into subterranean earth, passing roots and rocks and underground streams. Surrounding the clearing is a forest, which when entered is never-ending in all directions including up or down, except by following a stream or by becoming still and waiting for time to pass. Two other realms, above and below, of text on nature, technology and the body, and of software code, function as the conceptual substratum and superstratum parenthesizing the work. The sounds within Osmose were sampled from a male and female voice uttering phonetics, and digitally processed to create a range of effects and localized in three-dimensional space. The sounds in Osmose happen on the fly, in real time, responding, like the visuals, to changes in the immersant's head position, spatial location, direction and speed. Immersants are able to float or hover through all these realms, and in the overlapping areas between. After fifteen minutes of immersion (during public installations) the life-world of Osmose reappears and then irretrievably recedes, bringing the session to an end. In Ephémère, the iconographic repertoire is extended beyond the trees and rocks and streams of Osmose to include body organs, blood vessels and bones, suggesting a symbolic correspondence between the chthonic presences of the interior body and the subterranean earth. While Osmose consisted of nearly a dozen realms situated around a central clearing, Ephémère is structured spatially into three levels: landscape, earth, and interior body. The body functions as the metaphoric substratum under the fecund earth and the lush bloomings and witherings of the land. More significantly, Ephémère is structured temporally as well. Even as the immersant roams among all three realms, no realm remains the same. The landscape changes continually, passing through cycles of dawn, day, evening and night, from the pale of winter through spring and summer to the climatic decay of autumn. While the participants may spend an entire session in one realm, it is more likely that they will pass constantly between them, immersed in transformation. Throughout the work, the various rocks, roots, seeds and so on, come into being, linger and pass away. Their appearings depend on the immersant's vertical level, proximity, slowness of movement, and steadiness/duration of gaze. Ephémère is more interactive than Osmose: when gazed upon, its landscape rocks transform into other landscapes; seeds activate when gazed upon for an extended length of time, rewarding patient observation with germination, inviting entry into the luminous interior space of their bloom. The only constancy in Ephémère is the everchanging river: when the immersant surrenders to its gravitational flow, it metamorphosizes from river to underground stream or artery/vein and vice versa, summoning in the corresponding visual/aural elements of each realm. Deep within the earth, rocks transform into pulsing body organs, eggs appear, and aging organs give way to bone. Depending on the immersant's behaviour within the work, there are several endings, of falling leaves, of ashes, and of dust. All the transformations and interactions in Ephémère are aural as well as visual. While the visual elements pass through varying phases of visibility and non-visibility, light and darkness—and in the case of the landscape, progress from the more literal to the abstract—the sound is also in a state of flux. Localized in three dimensions and fully interactive as in Osmose, it oscillates between melodic form and mimetic effect in a state somewhere between structure and chaos, adapting moment by moment to the spatio-temporal context of the immersant within the work. This approach to sound corresponds to that used for the visuals. The visuals in these works are soft, luminous, and translucent, consisting of semi-transparent textured 3D forms and flowing particles: the 3D forms have been designed to be neither wholly representational (i.e., recognizable) nor wholly abstract, but to hover in between, creating perceptual ambiguity. By animating these forms, and by enabling the participant not only to see through them but to float through them as well, it is possible—because of their varying degrees of transparency—to create spatially ambiguous figure/ground relationships. The resulting constant variability of the perceptual field causes semiotic and sensory fluctuations or what I call "perceptual buzz", in which multiple poetic associations are evoked. I learned this from painting: a single literal meaning closes the work whereas ambiguity invites further imaginative play. In my work, ambiguity is key to softening, lessening, the distinctions between things. This strategy serves to offset the cultural bias of dualism, of maintaining rigid boundaries between subject-object, I-it, which finds expression in the aesthetic of "hard-edged objects in empty space" so common in three-dimensional computer graphics, of which a fine example is Jurassic Park's raptors and the T-Rex. My understanding of the experience of the spatiality of VR, or rather my interpretation of what it can be, has been significantly informed by my experience of lived space as perceived through extremely myopic vision. Myopic since childhood, I turned my attention as a painter in the early eighties to investigating my own uncorrected eyesight and was initiated into an alternative experience of space whereby "objects" had apparently disappeared; where all semblance of solidity, surface, edges and distinctions between things, including figure and ground, of sharply-defined objects separated from each other by empty space—all the usual perceptual cues by which we objectify the world—had dissolved. Within this perceptual spatiality, there is no split between I, the observer, and the observed. The withdrawal of the sense of sight, of visual acuity, which so dominates the human relationship with the world—and is so tied to the Cartesian paradigm—allows another way of sensing to come forward, one which, in my experience, is that of the body feeling space. This other sensibility is very much like that felt by a body immersed in the sea. The experience of immersion in the deep sea, via scuba diving, has significantly shaped my conceptual approach to VR. While diving, the hands are rarely used because touching often means doing or receiving harm; the vertical axis of movement is more important than the horizontal (as in Osmose and Ephémère); and one's buoyancy is dependent on skillful use of breath and balance to rise or fall or turn. Most of all, one feels the exquisite sensation of floating instead of being gravity-bound, immersed in the big blue. Here, space is not perceived as empty or passive, but sensually embraces, envelops the whole body, inviting reverie, and surrender to rapture of the deep. The intertwining of the imaginative and the physical, the immaterial and the material, lies at the heart of Osmose and Ephémère. These works have been nourished by my experience of an actual space, a place partly cultivated, partly wild, on the slope of a mountain in southern Quebec. Though this land is not pristine by any means—having been cleared by settlers in the eighteenth century, mined for copper, logged for furniture, grazed by cattle, farmed for apples, its meadows rooted with European "aliens", and its non-human predators, cougars, wolves and bears, hunted out long ago—the elements of Ephémère and Osmose have their source here. This land's trees and roots and rocks, its ponds and mountain streams, its bloomings and witherings through time, have become numinous, as present in my imagination as in actuality. As I ramble among their physical manifestations throughout the seasons and flowing light they in turn appear in my work like apparitions in a haunting reciprocity between the virtual and the real. On this land, however, fewer birds arrive in spring; the frogs and toads have fewer young; and the maple trees are dying of acid rain from smelters in the American mid-west. This land is but a microcosm: worldwide, wild places of the Earth are being dramatically altered due to a litany of human attitudes and actions . Meanwhile, public attention is being directed to the virgin, untrampled territory of cyberspace. And what of virtual reality? Can virtual representations of nature return our attention to the non-human living world—conversely increasing our appreciation of the complexities of the nature environment? Or will virtual environments proliferate at the inverse rate of the real environments disappearing—as some sort of psychic compensation? (is that why the drained beaver pond re-emerged as the virtual winter swamp in Ephémère?) Perhaps the very act of creating virtual environments such as Osmose and Ephémère point out the danger that soon computer-generated simulations may be all we have left . When I first began writing about Ephémère—before its completion—it was spring-time and apple blossoms were drifting gently on their boughs. As I write these words now, the apples have already ripened, been harvested and eaten or fallen and rotted, and the withering leaves of Canadian autumn are trickling through the October sky. I write on a laptop electronically connected to the human world yet am alone with only woods and fields surrounding. Voices from digital recordings of the 17th century compositions of Pergolesi ring out, interlaced with the rustlings of wind, the flowings of water over mountain stone, and the occasional sound of a rifle shot. As much as I try to focus, the land keeps calling me—away from keyboard and mouse-pad, virtual reality and the abstraction of words—out into the sensations of nature, of winds upon my skin, scents of decaying vegetation, and the presences of its inhabitants going about their lives. Waking up the other morning, I looked out the cabin window and thought I was inside the autumnal flux of Ephémère. The external internalized and re-externalized as art. Rising up inside us invisibly once more? Isn't it your dream to be invisible someday? As I reread these words, I sit at the roots of a solitary maple tree among its crumpled ochre leaves, in the gathering violet light and tranquillity of dusk—broken only by the sound of the international flight path of transatlantic jets—watching for the deer to venture from the safe shadows of the woods into the soft evening meadows of the orchard. I wait for the deer and all the other creatures who pass through here, all strands of multi-channeled life, a river with infinite rivulets pouring through time. These are the living presences who are so absent in the human-made virtual environments of Osmose and Ephémère. 1. This paper is an abbreviated version of a paper [being]† published in Women in New Media, Boston: MIT Press, 1999. (Ed. Judy Malloy). 2. Osmose and Ephémère were constructed with a team at Softimage Inc. in Montreal between mid-1994 and mid-1995, and mid-1995 and 1998 respectively. The graphics and animations were created by Georges Mauro using Softimage's 3D animation software; these were adapted to real-time VR through custom programming by John Harrison. Rick Bidlack composed and programmed the sound, and Dorota Blaszczak programmed the sonic architecture. Osmose was produced by Softimage. Ephémère co-produced by Softimage and Immersence Inc. Both works run on a Silicon Graphics Infinite Reality parallel-processing computer, with a stereoscopic and stereo-sound head-mounted display. We designed a user interface which motion-tracks the participant's breath and balance (breathing in to ascend, out to descend, leaning to change direction). The use of conventional hand-based interaction was deliberately avoided. The sound uses a PC (or a Mac in the case of Osmose), a Kurzweil sound synthesizer/ processor, and an Acoustetron for localizing the sounds in real time in three-dimensional space. Public installation of each of these works includes video projector(s), speakers and amps. As the immersed participant interacts with the work, the resulting generated sounds and images (from the participant's perspective) are projected in real-time—as is a shadow silhouette of the participant's body on an adjacent translucent screen) enabling visitors to witness the "performed" immersive experiences as they take place. 3. Henri Lefebvre. 1991. The Production of Space. Oxford: Blackwell, p. 407. 4. Lorenzo C. Simpson. 1995. Technology, Time and the Conversations of Modernity. New York: Routledge. Numerous writers have pointed out the technology's tendency toward reinforcement of the Western world view, including Katherine Hayles, 1993, The Seductions of Cyberspace, in Conley, (ed. ), Rethinking Technologies, University of Minnesota Press; and Hayles, 1996 Narratives of Artificial Life in Robertson et al. (ed. ), Future Natural. Routledge. Also see Margaret Morse, 1996 Landscape and Narrative in Virtual Environments in Moser, (ed. ), Immersed in Technology: Art and Virtual Environments, Cambridge: MIT Press. My experience in the late 80's and early 90's of building the software company Softimage into the world's leading developer of 3D computer animation software led me to understand the potency of this technology in reinforcing traditional Western/scientific values. 5. Marshall McLuhan and Harley Parker. 1969. Through the Vanishing Point: Space in Poetry and Painting. New York: Harper and Row, pp. 241, 252. 6. Henri Lefebvre, p. 407. 7. Richard Coyne. 1994. "Heidegger & Virtual Reality", in Leonardo, Volume 27, No. 1, Boston: MIT Press. 8. Drew Leder. 1990. The Absent Body. Chicago: University of Chicago Press, p. 274. 9. Arthur Deikman. 1990. "De-automatization & Mystical Experience" in Altered States of Consciousness. Harper Collins. 10. Char Davies. 1997. Changing Space: VR as an Arena of Being. Also (in expanded form) in Beckman, John (ed.). 1998. The Virtual Dimension: Architecture, Representation and Crash Culture. Boston: Princeton Architectural Press. Also published, in abbreviated form in Ascott, R. (ed). 1977, Consciousness Reframed: Art and Consciousness in the Post-biological Era. Proceedings of the First International CAiiA Research Conference. Newport: University of Wales College. ISBN 1 899274 03 O. For more information, see also, Davies, 1995, "Osmose: Notes on Being in Immersive Virtual Space" in Digital Creativity, Vol. 9, No. 2, 1998. 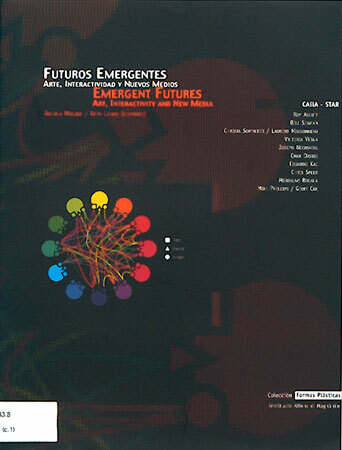 London: Swets and Zeitlinger (ISSN 0957-9133), first published in the Sixth International Symposium on Electronic Arts Conference Proceedings, Montreal: ISEA'95. 11. In October 1998, newspaper headlines announced that PCBs and other persistent toxic chemicals,—from as far away as South America—have been found in extremely high concentrations in the uppermost altitudes of the Rocky Mountains, imagined until now to be untouched by man. Globe and Mail (Toronto) October 17, 1998. 12. David Rothenberg. 1993. Hand's End: Technology and the Limits of Nature. Berkeley: University of California Press. 13. Laurie McRobert. 1996. "Immersive Art & the Essence of Technology". In Explorations: Journal for Adventurous Thought, Fall 1996. 14. Rainer Maria Rilke. 1922. "The Ninth Elegy". In The Duino Elegies (trans: David Young) New York: Norton and Co., 1978.